Two years ago, the end of August brought the end of an unprecedented, extraordinary grassroots movement to save a respected and cherished CEO. The Market Basket saga is the topic of one of AMACOM’s best-selling books, WE ARE MARKET BASKET: The Story of the Unlikely Grassroots Movement That Saved a Beloved Business. It’s also the focus of a documentary spreading the word even further. FOOD FIGHT: Inside the Battle for Market Basket will be shown September 18th at the Newburyport Documentary Film Festival and at other locations this fall, and anyone interested in screening the film at a local theater, library, school or community center can contact the creators to book. WE ARE MARKET BASKET co-author Daniel Korschun appears in FOOD FIGHT. He appeared on New Hampshire Public Radio to discuss the documentary with director Jay Childs in November. We have so many great books publishing in August that we are presenting our new titles in two blog posts. Enjoy reading about them and let us know what you think about the books. “At Market Basket, associates are aware that they are not just selling groceries; they are raising consumers’ standards of living through low prices. Other supermarkets advertise low prices too. What is unique at Market Basket is how strong and pervasive this sense of serving the community through the business model is. Executives remind associates frequently and explicitly. Their purpose at work is to make people’s lives better, especially those who are in vulnerable or disadvantaged situations” (page 54). “Taking personal responsibility requires courage, perhaps more courage than being decisive. After all, most of us believe that mistakes are who we are, rather than what we did. We’re quick to seek other people or things to blame should the outcome of a decision not be as desirable as hoped. In doing so, we abdicate responsibility for failure and forfeit the personal benefit to be gained from rebirth” (page 71). “Green Giants are different from these traditional green brands. They understand that for most people, sustainability is increasingly desirable, but it still comes in as a runner-up in the relevance stakes to whatever primary functional or emotional benefit they seek, be it flavor, usefulness, cachet, health, or value. 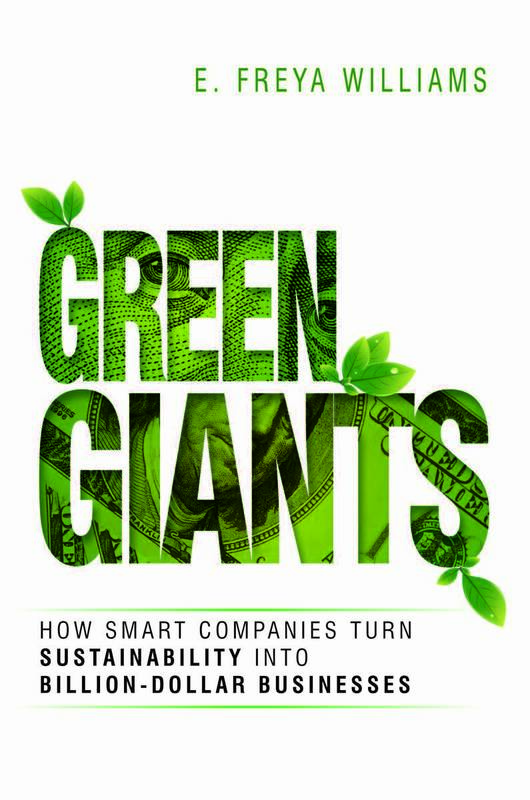 Green Giants build their marketing around human wants, needs, and desires first, showing that sustainability delivers the benefits people want, rather than flagging sustainability itself. And this enables them to cast a much wider net for customers than focusing on sustainability alone” (page 176). “You are not destined for frailty as you age. You can be vital, active, joyful, and mobile long into the foreseeable future. Why, then, do people believe this myth? I contend that you are not playing as hard as you once did because you are not playing as hard as you once did. Did you get that? To stay strong and vital, you must play hard and challenge your body like you did when you were young in years. Your body is a dynamic and masterful adapter capable of consistent mobility throughout your life span if you can stave off many of the changes and ‘slowing down’ that you might have just assumed were inevitable aspects of aging” (page 20). No Sweat: How the Simple Science of Motivation Can Bring You a Lifetime of Fitness by Michelle Segar, Ph.D.
“When we allow all sorts of physical activities and amounts of movement into the mix, it removes the barriers to choosing to move. If everything counts, there is no need to wonder whether this move is worth making or whether it is the proper amount of time to ‘count.’ In an ‘everything counts’ mindset, moving can become much more automatic because once the opportunity, or cue, to move presents itself, we don’t have to engage the cognitive, slow, and effortful system of our brain. Instead, we can just glide into action–because it’s there” (page 84). “Simply put, the best parents are always growing. A commitment to ongoing personal growth and inner transformation is vital to good parenting. Parents who continue to work on themselves rarely fall victim to outdated parenting models or repeat the mistakes of previous generations. They seldom suffer self-neglect or burnout; they recognize that their personal growth is intrinsically linked to their child’s growth; they create a culture of self-improvement in their family that inspires their children to keep striving” (page 206). “Learning and movement are innately connected in the human brain. … Just as the brain scans its surroundings for changes that indicate potential threats, our brain is preprogrammed to learn directly through the movement of our own body and through observation of other humans in motion. That’s why learning new concepts and taking in new information through the use of our bodies is one of the most effective learning technologies available to trainers. It’s all about implicit learning (learning by doing, feeling, or seeing, often on a subconscious level)–the brain’s preferred way to learn” (page 15).